Information: This particular postcard image was recycled from the box cover for the "Gatchaman II" LaserDisc set. The cards were packaged in a resealable plastic bag. 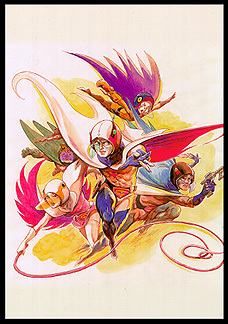 This was the only "Gatchaman" image in this set and it was illustrated by Ippei Kuri.